Many federal employees are now eligible for retirement, but still continue to work. Many of those are adequately financially prepared, some to the point that their take-home pay will be higher after they retire. If you are in that category, it is important to understand your situation and the reasons behind your decision. Are you mentally prepared to retire? It is the time of their lives for many people, but a time of stress, anxiety, and even depression for others. In order to avoid that situation, it is important to make sure that you are prepared to retire psychologically as well as financially. You have completed a comprehensive retirement income plan, and you are comfortable that your budget and lifestyle will be secure in retirement. You are content with your current budget and lifestyle. You have another job that you would prefer already lined up. You have started your own business that is requiring more of your time. You have a hobby or a passion that you can’t wait to devote more of yourself to. You genuinely enjoy what you do. Your career is the primary part of your personal identity. You aren’t sure what will get you out of bed each day if you retire. You are going through other major life changes, and are worried about too much at once. You don’t truly believe that you can afford retirement. A drop in the stock market makes you panic. Your plan is not able to withstand a multi-year recession. Investigate whether your agency offers phased retirement, which could serve as an opportunity to test-drive retirement without completely giving up your position. Consider some type of additional employment after retiring from your career. This could include full time or part time work. One useful concept is to imagine what you would do if the salary wasn’t an issue. Retirement in today’s age isn’t a simple matter of working until you retire, then stopping. Both spouses may retire at different times, each may do some part time work, Social Security strategies can be coordinated, and budget adjustments made along the way. Retirement can be better thought of as a “process”, rather than a specific instant in time. Put together a comprehensive retirement income plan with the assistance of someone familiar with your situation. A trusted advisor can serve as a good “sounding board”, and you won’t have to carry the whole burden yourself. Work on your plan long before retirement eligibility. You want to have lots of time to go over it all, so that there is no pressure for a quick and less thought-out decision. You also have time to look into all available options, and can make the most informed decision possible. Add a travel budget, if possible, or otherwise make provisions for adding new experiences. “If you aren’t sure if you are ready to retire, you’re not ready.” This has rung true through the years, but it is also important to understand what is behind it. Is the primary concern financial, or some other reason? Are you just afraid of the change? If you don’t even know yourself, talk through it with someone who knows your situation and can ask probing questions. Saying the reasons out loud can make them much easier to address. You should have a plan for what your life will be like once retired. Ask yourself what you envision a typical weekday looking like in one week, one month, and one year. Compare notes with your spouse to make sure you are on the same page. If you don’t have a hobby, get one! You will now have more time on your hands, it will be good to have something to give you a sense of purpose. Try taking a week or two of vacation time in one block, but don’t go anywhere. Practice spending your days how you imagine doing so after retirement. Will you be moving, possibly to a warmer climate? Will that change your cost of living? Have you ever even considered the options before? Without a job dictating where you live, other options may become more attractive. Do you have any major budget changes coming up, such as paying off a mortgage? 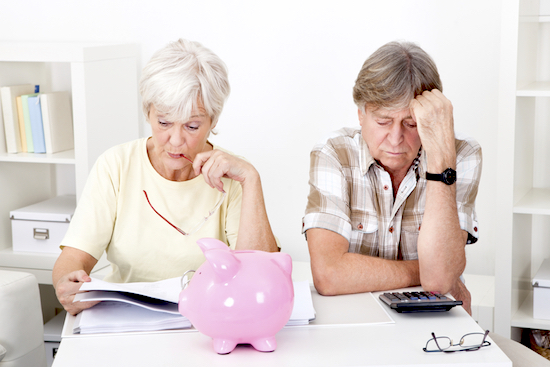 What will your budget look like in retirement? Will it stay the same? Keep in mind that expenses are often like a gas; they expand to fill the container they are in. If you are spending all of your take home income, is the majority of it fixed or discretionary that might be able to adjust after retirement? If you do need to continue working longer, does it make more sense to work in the federal government or the private sector? You may be able to earn a higher salary elsewhere, and the resulting increase in the pension from the federal government may not offset the difference. Once you are eligible for retirement, a new position outside the government should be one of the options you consider. Are you making the right choices with FEHB, FEGLI, your survivor benefit, etc.? You may be able to better protect your family or reduce your budget by taking full advantage of all options available. Continuing to work in some capacity as you get older has been shown to help promote mental acuity and long-term health in some people. The same benefits would apply to volunteer work or other activity that requires regular interaction with others and mental challenges. What is your plan to stay engaged? Can you handle being alone? You will likely spend more time alone in retirement than you ever have, especially if your spouse is still working or has other activities. Will your spouse still continue to work? Will the different situations cause an issue or conflict? Should you wait until you can both retire at the same time? Selecting an official retirement date and submitting your paperwork is a very big decision, and one that should not be made lightly. Done correctly and with proper planning, though, it can be one of the best things you ever do.